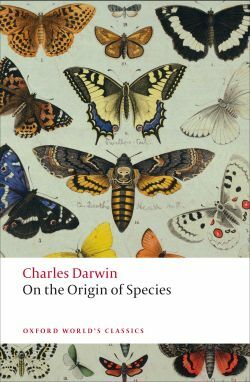 2009 is the year of Darwin, celebrating the 200th anniversary of Charles Darwin’s birth, and the 150th anniversary of the publication of his most famous work On the Origin of Species. BBC Radio 4 has recently been running a series of programmes called ‘Dear Darwin’, which invited five eminent thinkers to write a letter to Darwin, and to read it on air. One of the contributors was Jerry A. Coyne. 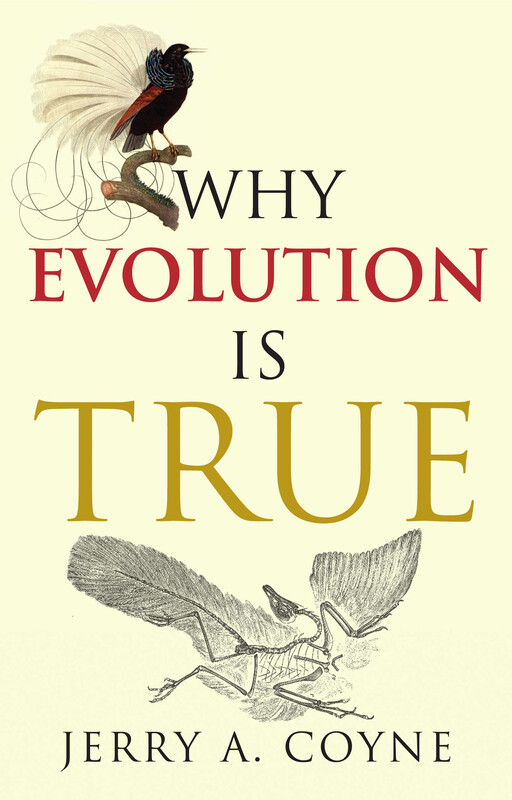 Jerry Coyne is a professor in the Department of Ecology and Evolution at the University of Chicago and author of Why Evolution is True, which is published in the UK by OUP and in the USA by Viking. Below is the text of his letter to Darwin. But enough of the personal questions: let me introduce myself. I am one of thousands – maybe tens of thousands – of professional biologists who work full time on your scientific legacy. You’ll be happy to know that Britain remains a powerhouse in what we nowadays call evolutionary biology, and your ideas now have wide currency across the entire planet. I work in Chicago, in the United States of America. But even the French have finally reluctantly relinquished their embrace of Jean-Baptiste Lamarck, whose misguided evolutionary ideas you did so much to discredit. Your Origin of Species turns 150 this year. I just re-read it in your honour and must say that, though you did not always have the snappiest turn of phrase, it really is a wonderfully comprehensive and insightful work. It is remarkable, considering what you did not know when you wrote it, how robust the book has proved over the years. The findings of modern biology, many of them inconceivable to you as you beavered away in your Down House study, have provided ever more evidence in support of your ideas, and none that contradicts them. We have learned a huge amount in the past 150 years, but nearly all of it still fits comfortably into the framework you outlined in The Origin. Take DNA, for example. This is what we call the hereditary material that is passed down from generation to generation. You knew nothing about it – remember how you wished you understood more about how heredity works? Now we have full DNA sequences from dozens of species, each one a string of billions of the four DNA letters—A, T, G and C—each a different chemical compound. What do we find when we compare these sequences, say between a mouse and a human? We see the DNA equivalent of the anatomical similarities – as mammals – that you noted mice and humans share because they are descended from a common ancestor, an early mammal. Strings of As, Gs, Cs, and Ts tell precisely the same evolutionary story as traits like lactation and warm-bloodedness. It is absolutely marvelous that your 150 year old insight on common ancestry should be so relevant to the very latest discoveries of the new field we call molecular biology. In The Origin, you gave very little evidence for evolution from the fossil record, wringing your hands instead about the incompleteness of the geological record. But since then, the labors of fossil-hunters throughout the world have turned up plenty of evidence of evolutionary change, and many amazing “transitional” forms that connect major groups of animals, proving your idea of common ancestry. You predicted that these forms would exist; we have found them. These include fossils that show transitions between mammals and reptiles, fish and amphibians, and even dinosaurs with feathers—the ancestors of birds! Just in the past few years, paleontologists have unearthed an astonishing fossil, called Tiktaalik, that is intermediate between fish and amphibians. It has the flat head and neck of an amphibian, but a fishy tail and body, while its fins are sturdy, easily able, with slight modification, to give them a leg up when they left the water. The fossil record has given us a direct glimpse of an event of great moment in the history of the planet: the colonization of land by vertebrates. And we have evidence just as convincing for the recolonization of the sea by mammals: the group that gave rise to whales. In The Origin, you were correct in suggesting that whales arose from land animals, but you got it wrong on one point. You thought they may have come from carnivores like bears, but we now know this is not true. Instead, the ancestral whale came from a small hooved animal rather like a deer. And in the last thirty years we have discovered a whole series of intermediate fossils spanning the gap from those ancient deer to modern whales, showing them losing their hind legs, evolving flippers, and moving their breathing hole to the top of their head. Both Tiktaalik and these ancestral whales put paid to the objection, which you yourself encountered, that no transitional form between land and water could possibly have existed. Perhaps the most remarkable set of intermediate fossils, however, come from an evolutionary transition rather closer to home. In 1871, you more predicted that, since humans seem most related to African great apes, gorillas and chimpanzees, we would find human fossils on that continent. And now we have them—in profusion! It turns out that our lineage separated from that of chimpanzees, our closest living relatives, nearly 7 million years ago, and we have a superb series of fossils documenting our transition from early apelike creatures to more modern human forms. Our own species has become an exemplar of evolution. And we know even more: evidence from our hereditary DNA material has told us that all modern humans came from a relatively recent migration event—about 100,000 years ago—when our ancestors left Africa and spread throughout the world. The idea you were proudest of was natural selection. That too has had a good 150 years, holding up well as the main cause of evolution and the only known cause of adaptation. Perhaps the most dramatic modern example involves bacteria that are now known to cause disease, including the scarlet fever that was such a plague upon your family. Chemists have developed drugs to cure diseases like this, but now, as you might well predict, the microbes are becoming resistant to those drugs—precisely in accord with the principles of natural selection—for the most drug-resistant microbes are the ones that survive to breed. There are hundreds of other cases. One that will especially please you is the observation of natural selection in the Galápagos finches you collected in the Beagle voyage—now called “Darwin’s finches” in your honor. A few decades ago, zoologists observed a great drought on the islands that reduced the number of small seeds available for the birds to eat. And, just as predicted, natural selection caused the evolution of larger-beaked birds within only a few years. These examples would surely be a centerpiece of The Origin were you to rewrite it today. All told, the resilience of your ideas is remarkable. But that is not to say that you got everything right. On The Origin of Species was, admit it, a misnomer. You described correctly how a single species changes through time, but you came a cropper trying to explain how one species splits into two. Speciation is a significant problem, because it underpins the branching process that has yielded the tree of life – that extraordinary vision you bequeathed us of the natural world as one vast genealogy. Speciation is the key to understanding how, starting with the very first species on earth, evolution has resulted in the 50 million species that are thought to inhabit our planet today. I wish I could end this letter by telling you that your theory of evolution has achieved universal acceptance. As you well knew, evolution has proved a bitter pill for religious people to swallow. For example, a large proportion of the American public, despite access to education, clings to a belief in the literal truth of Genesis. You will find this hard to believe, but more Americans believe in the existence of heavenly angels than accept the fact of evolution. Unfortunately, I must often put aside my research to fight the attempts of these “creationists” to have their Biblical views taught in the public schools. Humans have evolved extraordinary intellectual abilities, but sadly these are not always given a free rein by their owners. But this probably won’t surprise you – remember the Bishop of Oxford and his attempt to put your friend Thomas H. Huxley in his place? It seems that, distracted by other projects, you never got around to it, but my own effort along these lines is represented in a book (which I enclose) called Why Evolution is True. It goes further to describe the evidence supporting you than a letter this size ever could, but it’s just one book at just one moment in the history of biology. When I myself am as long gone as you are, somebody else will certainly need to write an update, for the facts supporting your theories continue to roll in, and I wager they will continue to do so. So, rest in peace, Mr. Darwin, and here’s hoping that the next hundred years will see a steady evolution of rationality in a troubled world. Dear Charles.I suppose you are embarressed by all the hype and nonsense written about you in this your bicentennial year. After all, as both you and Alfred Russel Wallace admitted(and T.H.Huxley agreed) neither of you originated the theory of natural selection. You said,if you remember, that Patrick Matthew came up with “precisely” the same idea some 25 years earlier. You also know that all of the ideas you put into your famous book were published before 1857(search Google for”wainwrightscience” for details).You did an excellent job of bringing all these ideas together and adding some examples. It’s unfortunate though that you “forgot” to refer to the work of others in your opus magnum! (OK you mentioned some in the 4th edition).I suppose you still regret the way that your friends denied Wallace the 1857 priority on natural selection, a vey ungentlemanly agreement as you pointed out in your letters. You must also be saddened by how the extreme atheists have taken you as an icon of their beliefs which, as an agnostic like me, you never shared. Dr Milton Wainwright,Dept.Molecular Biology and Biotechnology, University of Sheffield, UK. I find it interesting how it is often the atheist that portrays himself as the superior one yet he still leaves gaps- gaps in our history (evolutionary and otherwise) that science has yet to answer. Why is it that the elitist atheists believe they have the last, and correct word on most subjects? And look how Godless societies continue to crumble. Take a look at the cities of San Francisco, Berkeley, as well as the Netherlands, parts of London, France and so forth. Look at what comes out of Hollywood. As with those holding up Barrack Obama as the second coming, some people just hear what they want. I find the same mindset that blocks out any religious belief is the same that wouldn’t recognize Obama as having almost no experience. Sarah Palin actually has more experience yet she was criticized by the socialists for not having enough. It appears far-left liberal atheists think alike in that they use only the facts they want and leave out what might hurt their agenda. I’m not defending creationism or denouncing Darwin-far from it. I just wanted to point out how some minds are filled with self ‘righteousness’ while their socialist lifestyles continue to deteriorate. By the way, this comes from a man that does not attend church. Rick said; ‘By the way, this comes from a man that does not attend church’. Maybe not, but it does come from a fomenting idiot. First of all, atheism simply means one who does not believe in a god or gods. Your rant is about rational secularists and scientists. And their view is the superior one because their beliefs are based on mutually self-supporting evidence. No scientist or rational secularist has ever claimed to have all the answers and will happily admit to gaps in their knowledge. They will not, however, try to plug those gaps with notions of a supernatural creator, as that would be intellectually irresponsible. Every scientist is willing to say what would convince them of the existence of a creator, i.e. evidence of some kind that could be corroborated, but the faithful rarely if ever say what would persuade them that their faith is mistaken. As to your ludicrous comments about ‘Godless societies’, what’s wrong with San Francisco and Berkeley? The biggest problem in the Netherlands right now is Islamic fundamentalism, which has resulted in the murder of a film-maker, the persecution and exile of the film-maker’s female friend and threats to a cartoonist and anyone who published his cartoons. And what’s wrong with London and France? Among the most ‘Godless’ societies on Earth are Sweden, Denmark and Norway and it is well documented that these coutries have very low crime rates, high levels of social equality and are among the most generous givers to charity. Obama may be relatively inexperienced, but he is intelligent, thoughtful and articulate. He also has a respect for science and evidence. He also believes that religion should be a private concern and should have no place in public life. And rightly so. Sarah Palin may or may not have had more experience, but she is an ignorant, arrogant, gun-toting young earth creationist who believes in the Rapture and that women should be denied terminations even if they were raped by members of their own family and as such is unfit for public office. Even blinkered, ignorant people like you are entitled to have their say, but rest assured that your ludicrous views will be shot down in flames by those of us who have half a clue what’s going on. excellent article, ça fou les boules!